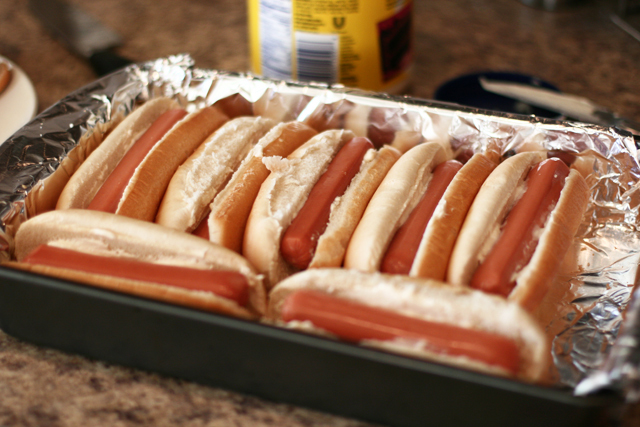 Summer time means lots of grilling in our household and my oldest LOVES grilled hot dogs. Did I mention that my oldest is also one of THE pickiest eaters in history? So, not only does he prefer his hot dog to be grilled, he also prefers only Nathan’s Hot Dogs. I try to sneak in an Applegate Turkey Dog every now and then though. 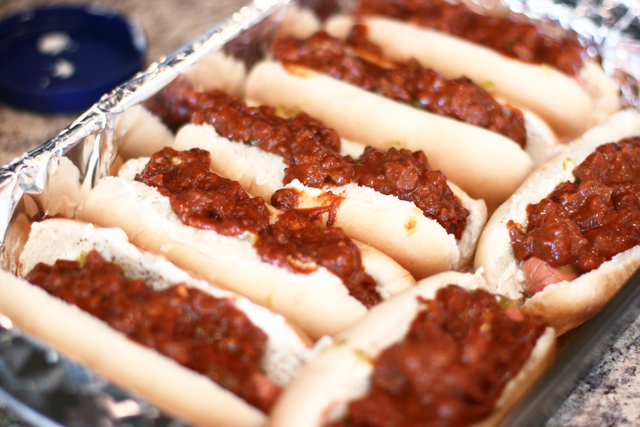 ;) If I have to eat a hot dog, I like to feel like I’m getting a healthy one. If there is such a thing. Preparation for this meal takes just a few minutes and while the hot dogs are baking you could throw in some French fries at the same time. Two birds, one stone. If you’re a mama with more time on your hands, then I encourage you to make some homemade French fries, but for this mama, frozen ones work just fine. Even the hubby enjoyed them! I know that if he approves, then I can add it to our meal rotation. 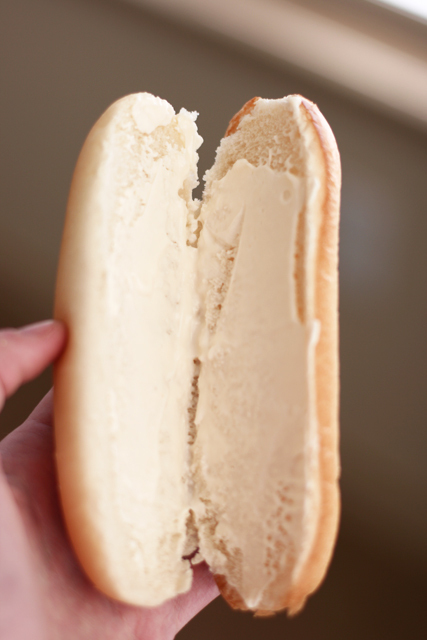 Line inside of hot dog buns with mayonnaise. Evenly add mustard of choice. 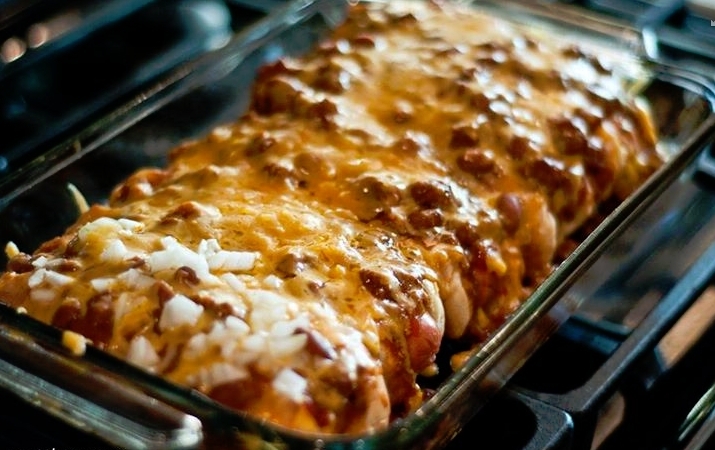 Top hot dogs with chili, cheese, and diced onion. 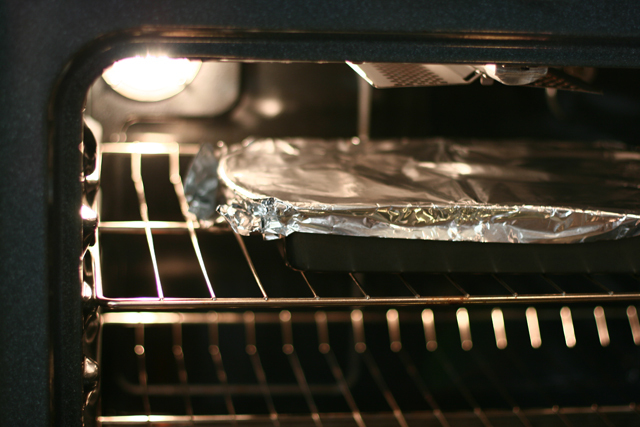 Carefully remove from the pan with a spatula and some tongs. It really does take both to get these babies out of the pan in one piece.